The ports used during setup are on the back of the phone. 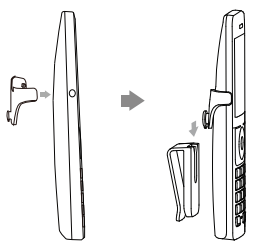 Plug the jack closest to the straight end of the cord into the handset port on the back of the phone. 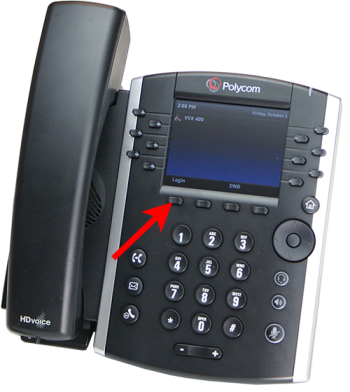 Plug the other end of the cord into the port on the handset. 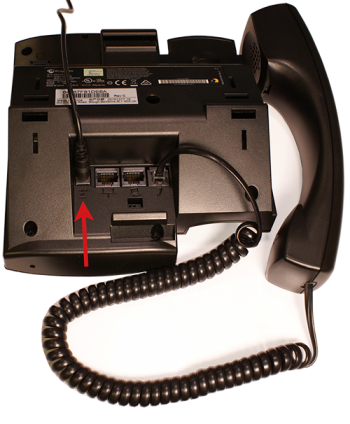 If your phone has a non-POE (Power over Ethernet) connection, plug the AC power cord jack into the 48V port on the back of the phone and into a power source. 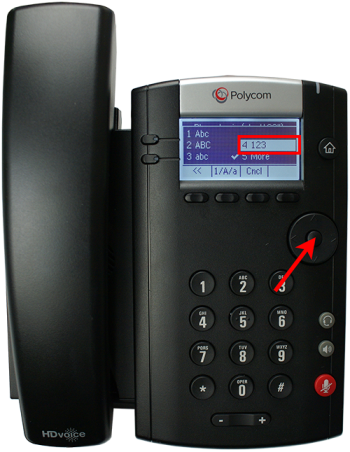 Plug an Ethernet cable into the port marked with the Ethernet symbol ( ) on the back of the phone and connect to your network. Plug one end of a second Ethernet cable into the port with the computer icon ( ) on the phone. 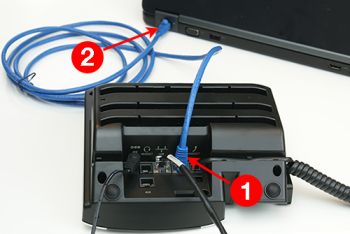 Plug the other end of the second Ethernet cable into the computer. Once the phone is connected to the Local Area Network and power source, it will begin its initial boot. Note: New phones power up in an unprovisioned state. If the phone was previously provisioned, it will need to be unprovisioned before continuing. For assistance with this, please contact the ENA CTAC. Press the Login soft key. If the Number field is not already highlighted, use navigation arrows to highlight. Press center button on Navigation Disk to open Enter Number field. 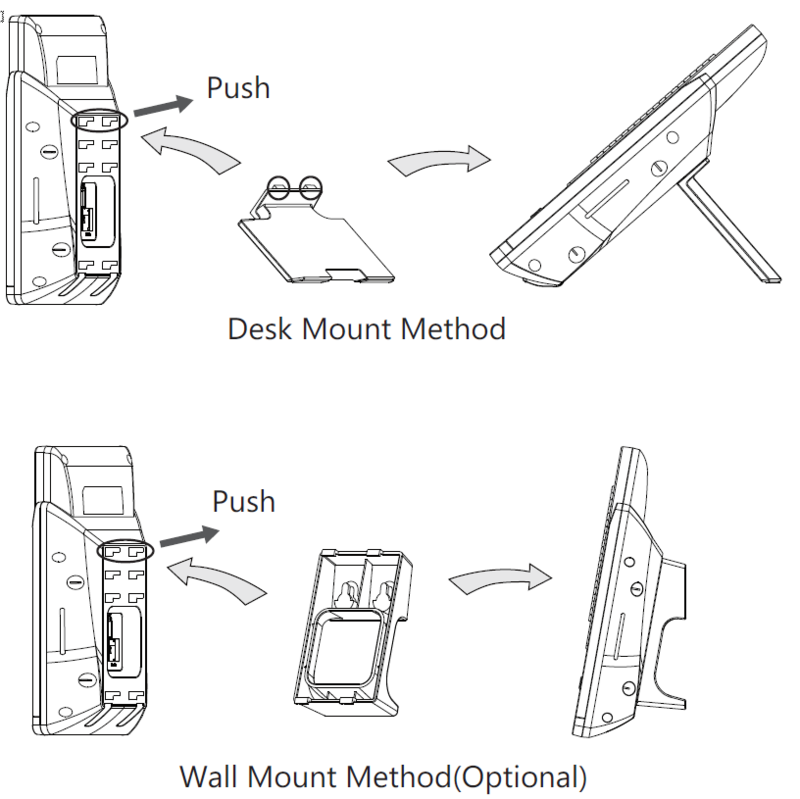 Press 1/A/a soft key to open Data Entry Mode options. 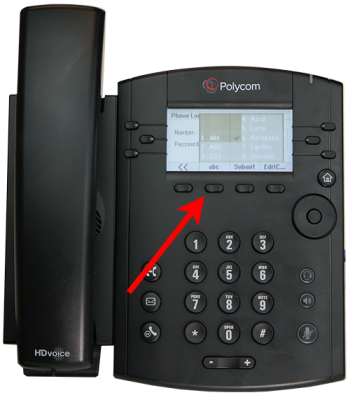 Select Numeric Input by using the navigation arrows to highlight 123 and pressing the center button of the navigation disk to select or by pressing 4. Use the phone keypad to enter the number in the Number field. For extensions with DID numbers, enter the area code and phone number. For non-DID extensions, enter the prefix for your business group and the extension. If you make a mistake, use the >> soft key to erase and re-enter numbers. Use the down navigation arrow to highlight the Password field. Press center button on Navigation Disk to open the Password field. Use the phone keypad to enter the password in the Password field. If you make a mistake, use the >> soft key to erase and re-enter numbers. If it is not already highlighted, use the down navigation arrow to highlight Save Config. When the phone completes booting, it will show the extension assigned to it. Thread the straight end of the cord through the channel in the phone. 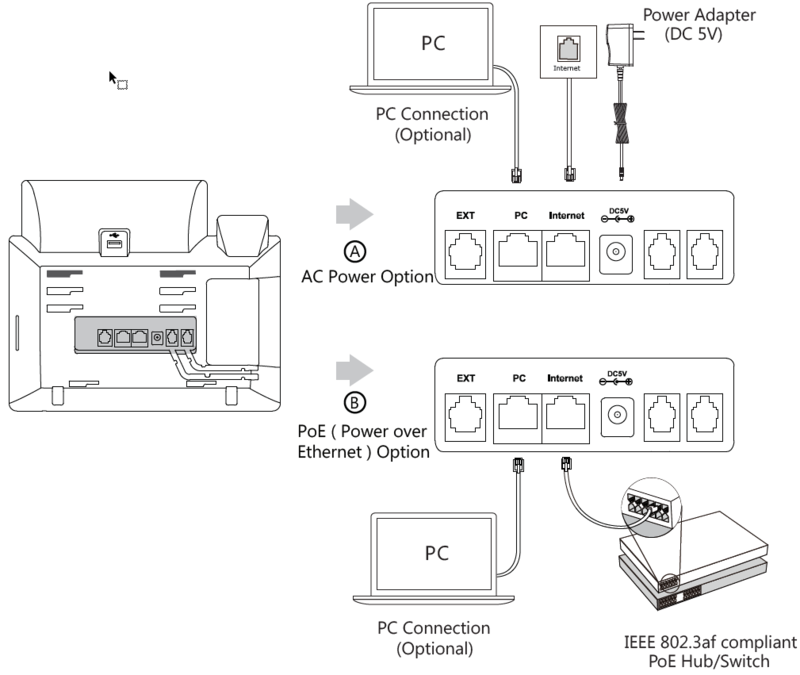 Press abc soft key to open Data Entry Mode options. Press 3 or the down arrow key followed by the center button of the navigation disk to select numbers mode. Use the keypad to enter the ENA SmartVoice provisioning password provided to you by ENA. If you make a mistake, use the >> soft key to erase and re-enter numbers. When you see the phone model in the Description field, press Submit. You will see the Please wait while your phone restarts message. The phone may restart twice to update its configuration. This is normal behavior. 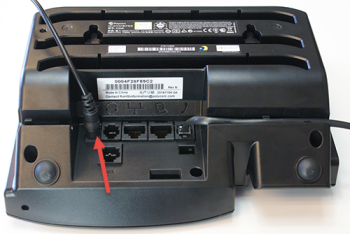 Plug one end of the short cord supplied with the expansion module into the Aux port on the phone. 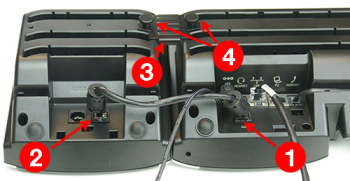 Plug the other end of the short cord supplied with the expansion module into the Aux 1 port on the expansion module. 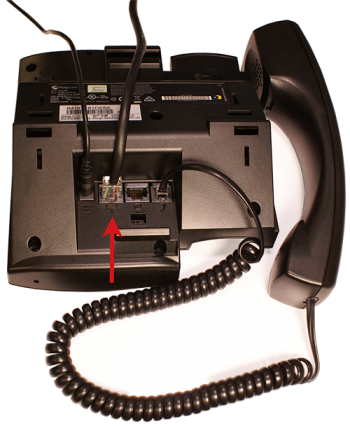 Insert the small metal bracket into the channels on the back of the phone. Secure the metal bracket with the thumbscrews. Note: If the holes in the bracket do not align with the thumbscrew holes, turn it around. 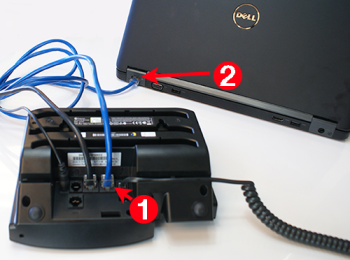 Once you connect the phone to the Local Area Network and power, it will begin its initial boot. 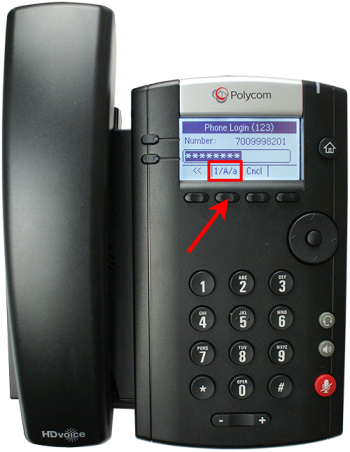 Plug an Ethernet cable into the port marked with the Ethernet symbol ( ) and labeled LAN on the back of the phone and connect to your network. Tap the Login soft key. Tap the Number field select it. If you make a mistake, use the soft key to erase and re-enter numbers. Tap the Password field to select it. Tap the abc soft key to open Data Entry Mode options. Tap 123 or press 3 on the keypad to select numbers mode. Use the keypad to enter the ENA SmartVoice provisioning password provided to you by ENA. If you make a mistake, use the soft key to the right of the Password field to erase and re-enter numbers. When you see the phone model in the Description field, tap Submit. 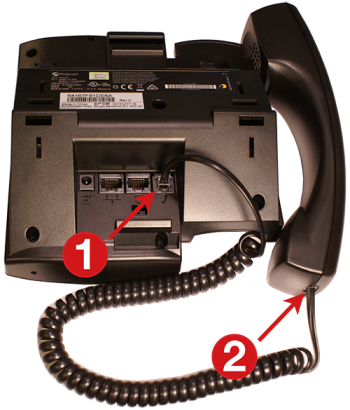 Note: The hookswitch tab has a lip which allows the handset to stay on-hook when the IP phone is mounted vertically. 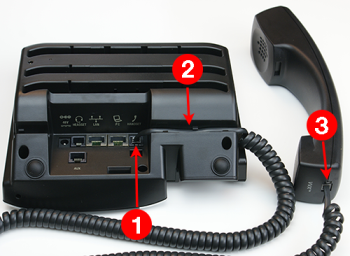 Connect the handset and optional headset. 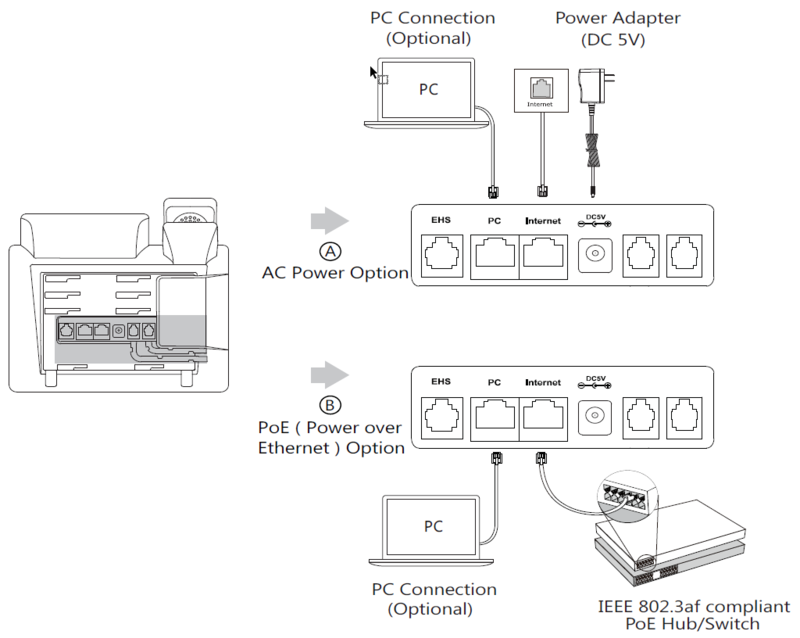 Connect the network and power. When you connect the phone to your network, it powers up to the login screen. If you press any other buttons on the phone before following the sequence below, you no longer see the login screen. To access the login screen again, unplug the phone from the power source and then plug it back in. You may also provision the phone using the Advanced Settings menu. Select numerical input by pressing the data input type soft key until see 123. Use the keypad to enter the 10-digit number to be assigned to the phone in the User Name field. If you make a mistake, press the Delete soft key to erase and re-enter numbers. Press the down arrow to move the cursor to the Password field. 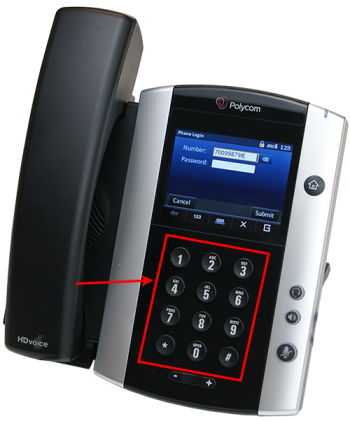 Use the keypad to enter the ENA SmartVoice provisioning password provided to you by ENA. If you make a mistake, press the Delete soft key to the right of the Password field to erase and re-enter numbers. When phone is successfully provisioned, you see the phone's extension in upper left of screen and on top one or two line keys. Press 3 or use the navigation arrows to highlight Settings and press Enter. Press 2 or use the navigation arrows to highlight Advanced and press Enter. Enter admin in the password field. Note: The password admin is only valid on unprovisioned phones. Once a phone is provisioned, you use an ENA password to access the Advanced Settings menu. The ENA CTAC can provide you with this password. This password is not related to the provisioning password or the password used to log in to the ENA SmartVoice Administrator web portal. Press 4 or use the navigation dial to highlight Auto Provision and press Enter. Use the navigation dial to highlight User Name. Press 5 or use the down arrow to highlight Reboot and press Enter. At Reboot the phone? warning, press OK. When phone is successfully provisioned, see extension in upper left of screen and on top one or two line keys. Use the keypad to enter 10-digit number to be assigned to the phone in the User Name field. When phone successfully provisioned, see extension in upper left of screen and on top one or two line keys. Use the navigation arrows to highlight Settings and press Enter or press 3. Use the navigation arrows to highlight Advanced and press Enter or press 2. Use the navigation dial to highlight Auto Provision and press Enter or press 4. Select numerical input pressing the data input type soft key until see 123. Use navigation arrows to highlight Advanced. Press Enter soft key or OK button in center of navigation dial. 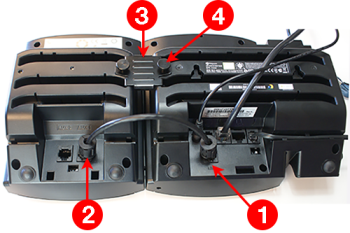 Connect the expansion module and the phone using the supplied screws and the connecting sheet. 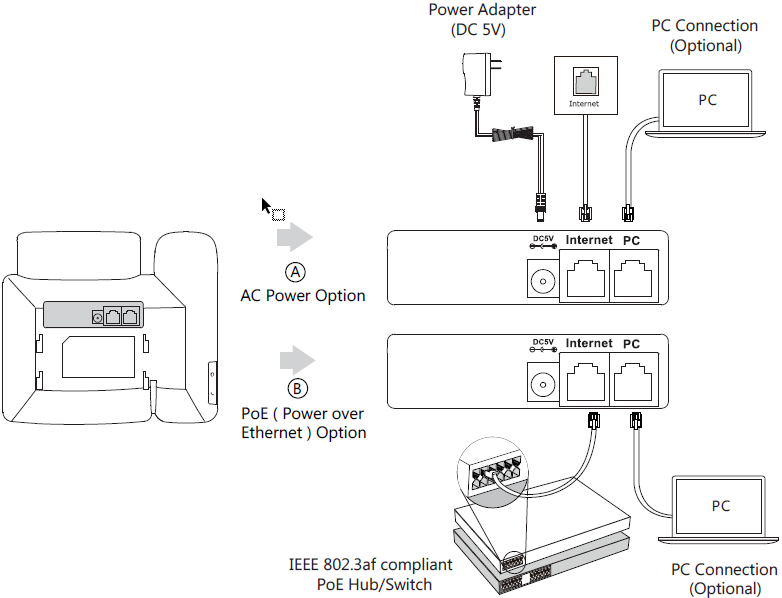 Follow the same steps to connect a second expansion module, if applicable. Note: The T48S and T46S IP phones can support up to six expansion modules. 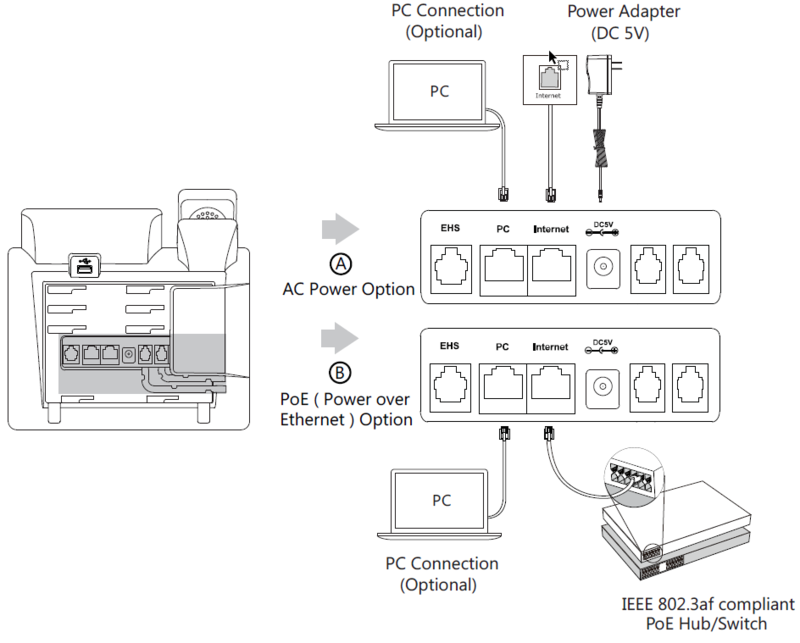 If you connect	more than two expansion modules, you need to connect an additional power adapter to any one of the expansion modules. 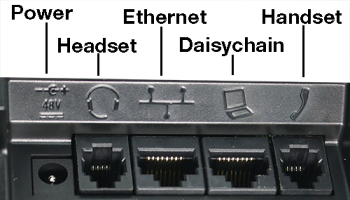 Connect the Ext jack of the IP phone and the Ext in jack of the first module using a connecting cord. 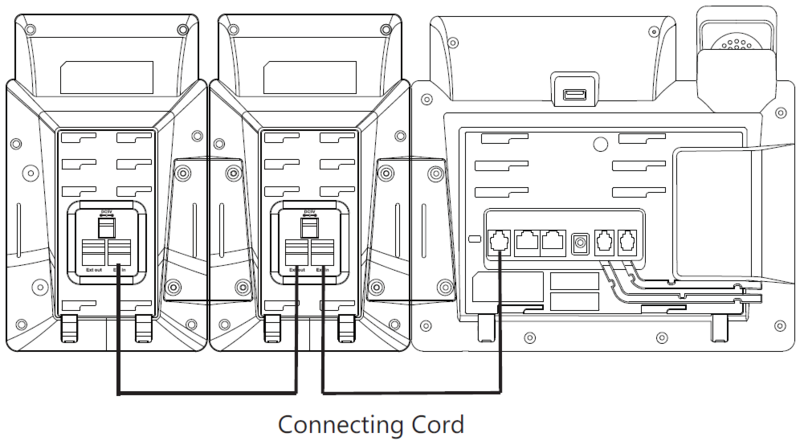 If you want to connect another module, connect the Ext out jack of the first module and the Ext in jack of the second module using a connecting cord. Select numerical input by tapping IME (Input Method Editor) key until see 123. If you make a mistake, tap the soft key to erase and re-enter numbers. Tap the Password field or press the down arrow to move the cursor to the Password field. 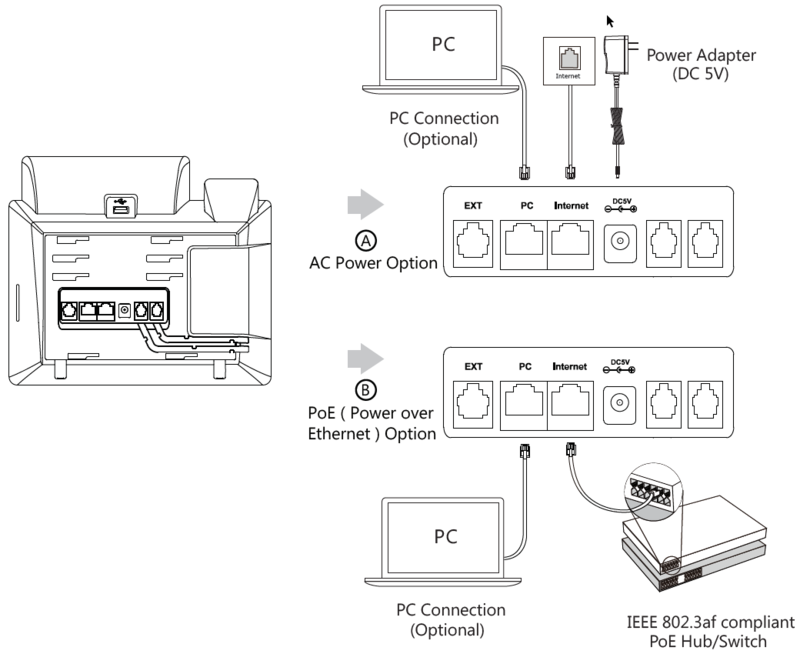 Connect the base station to the network, and, if non-PoE, to power source. Alert: If you use AC power, use the Yealink supplied power adapter (5V/600mA). 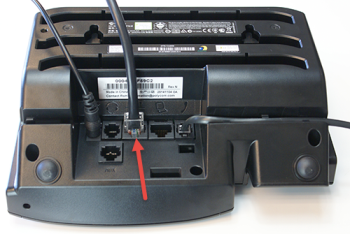 A third-party power adapter may damage the base station. Or mount base on wall. 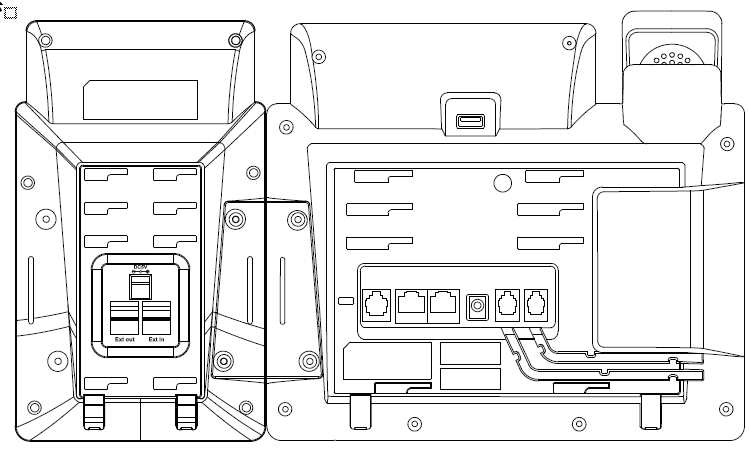 Insert the battery into the handset. 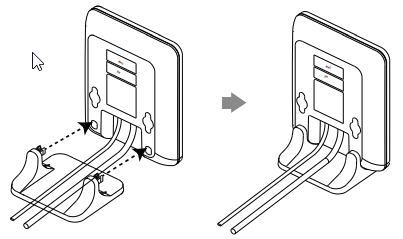 (Optional) Mount charger cradle to wall. 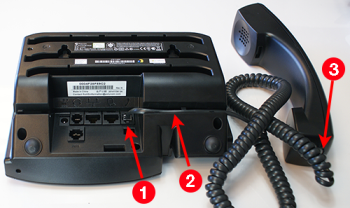 Connect the charger cradle and charge the handset. Allow handset to fully charge. The charging status indicator is located on the top right of the main screen. 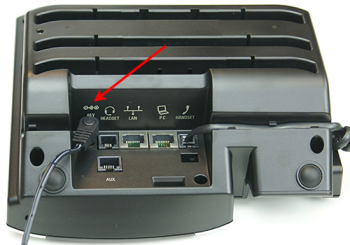 Alert: Use the Yealink supplied power adapter (5V/600mA). 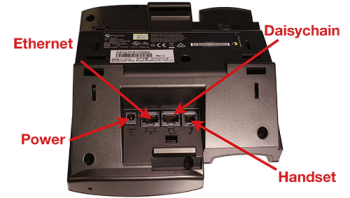 A third-party power adapter may damage the handset. 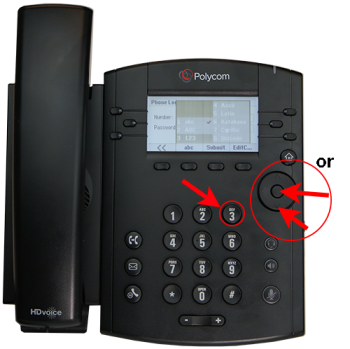 Press OK to access handset menu. Use the navigation arrows to highlight Settings (gear icon). Use the navigation arrows to highlight Registration and press OK, or press 6 to open the Registration menu. 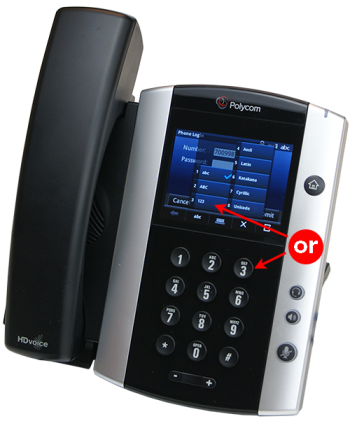 Highlight Register Handset and press OK. Highlight Base 1 and press OK. 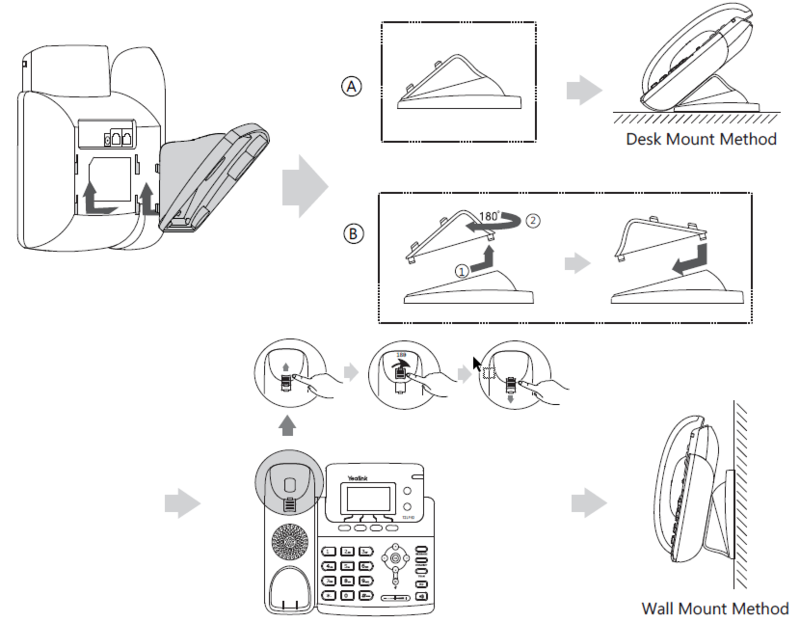 While the handset is Searching, press and hold on the Base station. 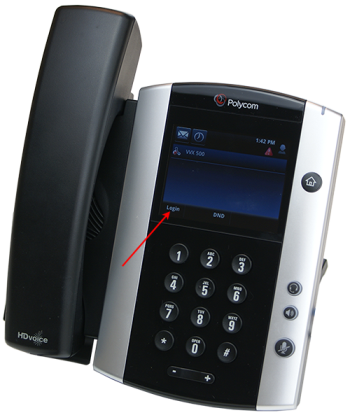 When base station found, see MAC address on the handset. If prompted, enter default handset PIN, 0000. Confirm you see Handset Subscribed message. Use the navigation arrows to highlight System Settings and press OK, or press 8 to open the System Settings menu. Use the navigation arrows to highlight Auto Provision and press OK. 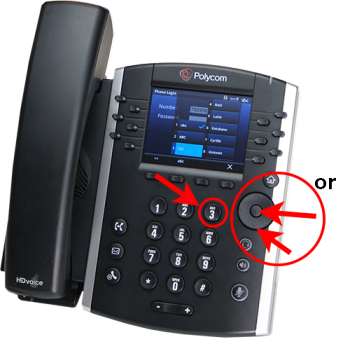 If prompted, enter default handset PIN, 0000 and press OK.
Press # to change input mode to numerical. In Username field, enter 10-digit DID number or 10-digit prefix plus extension and press OK.
Make sure input mode is still numerical and enter the ENA SmartVoice provisioning password provided to you by ENA and press OK. When see Update now? prompt, press OK or Yes. Confirm you see Provision Succeed message.